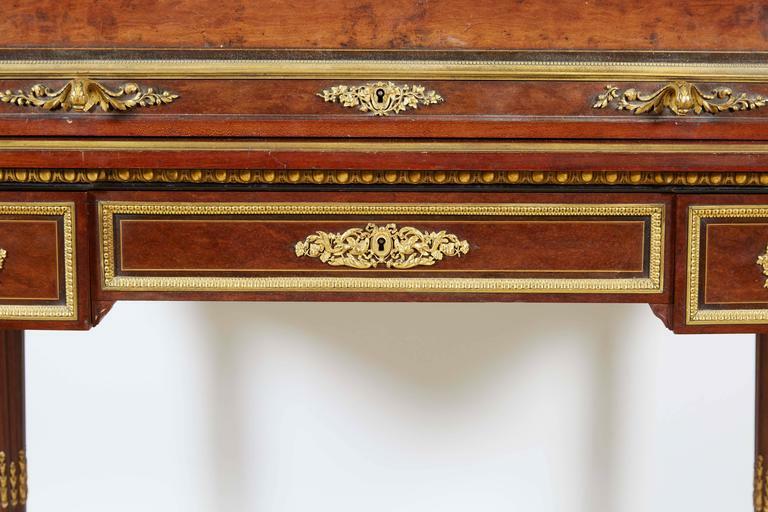 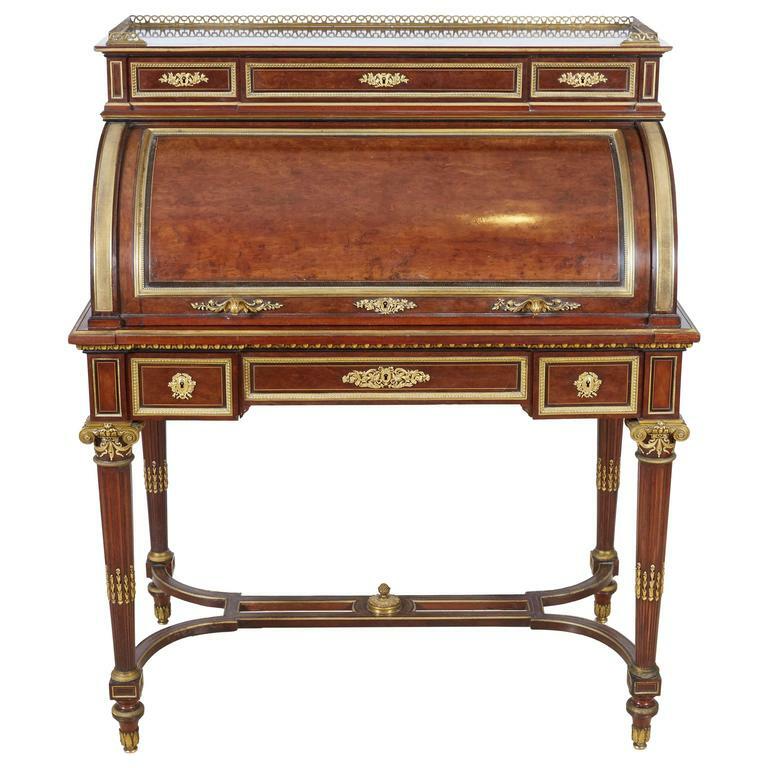 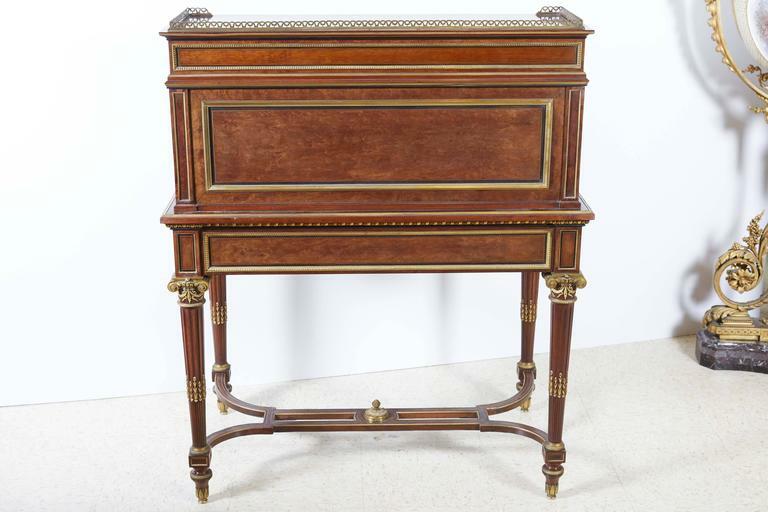 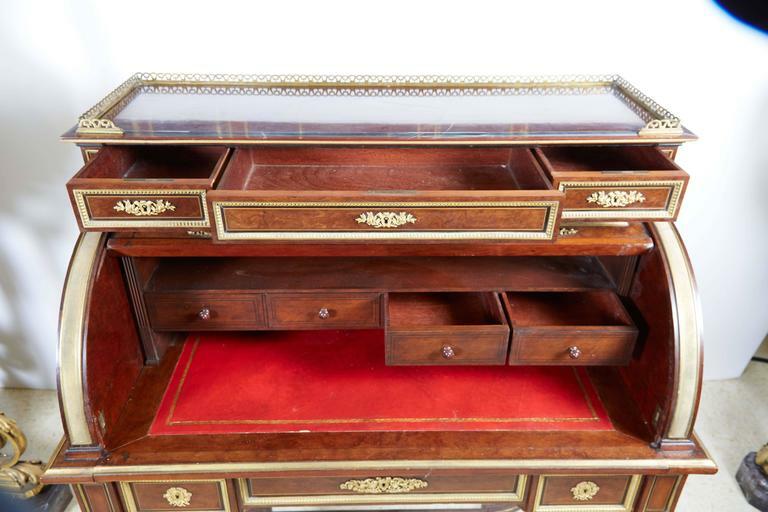 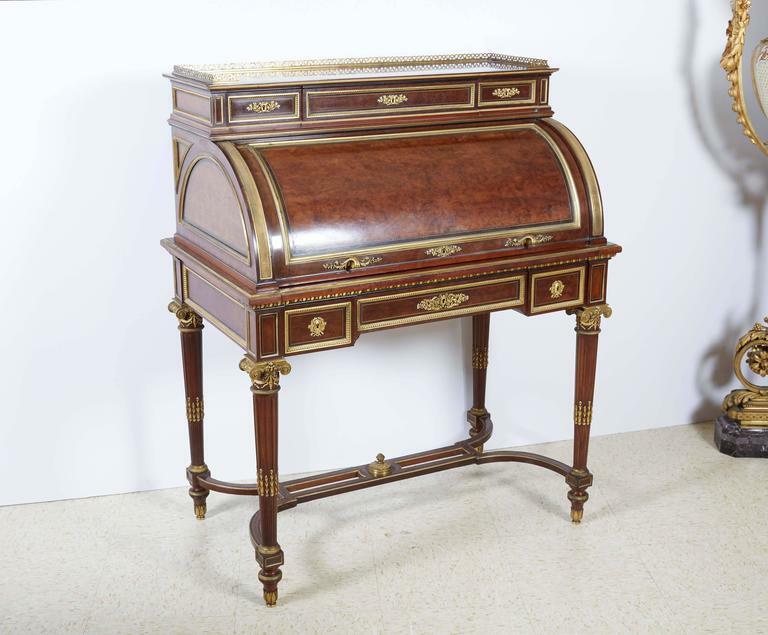 French ormolu-mounted bureau a cylindre roll top desk signed H. Fourdinois. 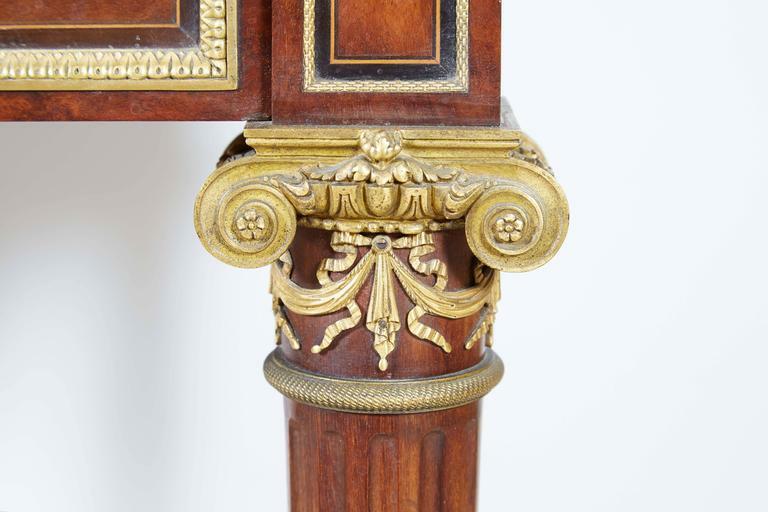 Veneered in walnut with very fine quality ormolu mounts throughout. 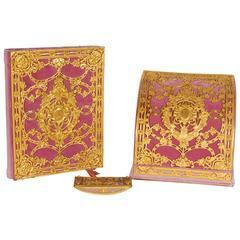 Stamped twice ''H. 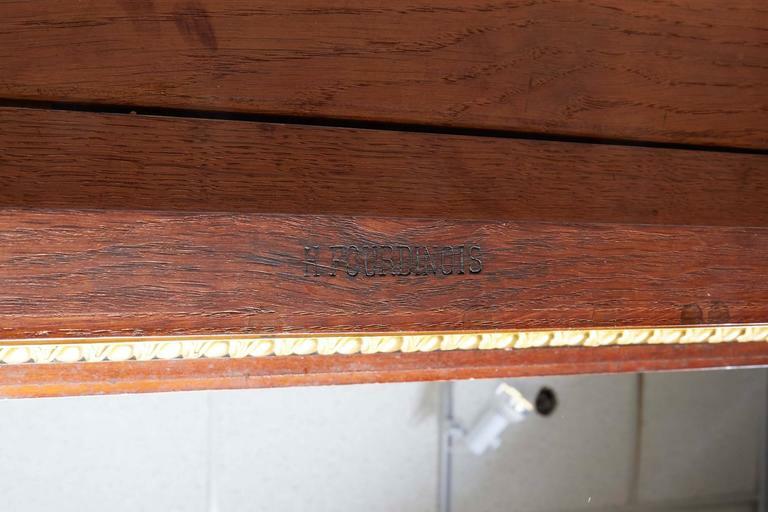 Fourdinois'' for maker Henri-Auguste Fourdinois (1830-1907). 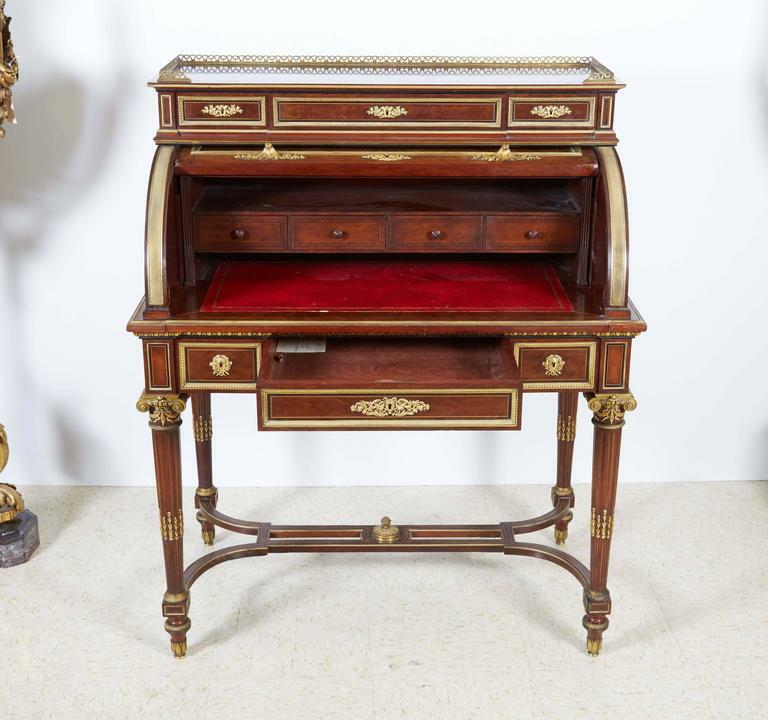 The rectangular galleried top with three short locking drawers above a roll-top enclosing four short drawers over a slide-out tooled red leather writing surface, with three short locking drawers, raised overall on fluted tapering legs joined by a pierced I-form stretcher. 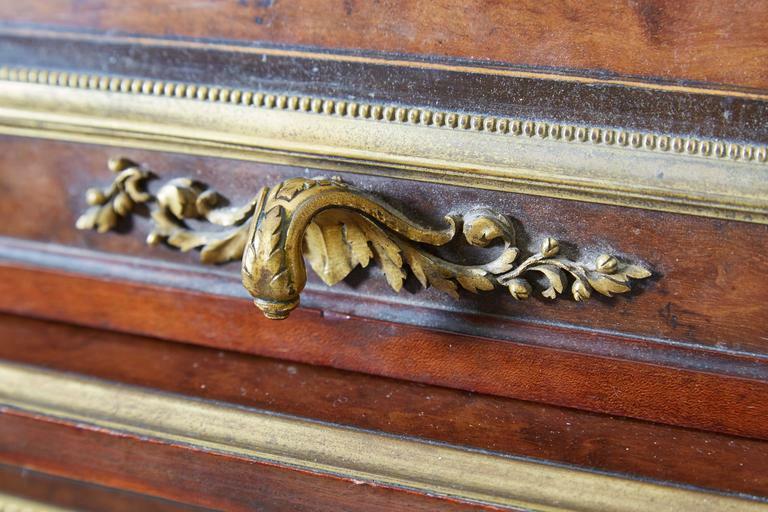 Normal wear, otherwise in excellent, ready to use condition. 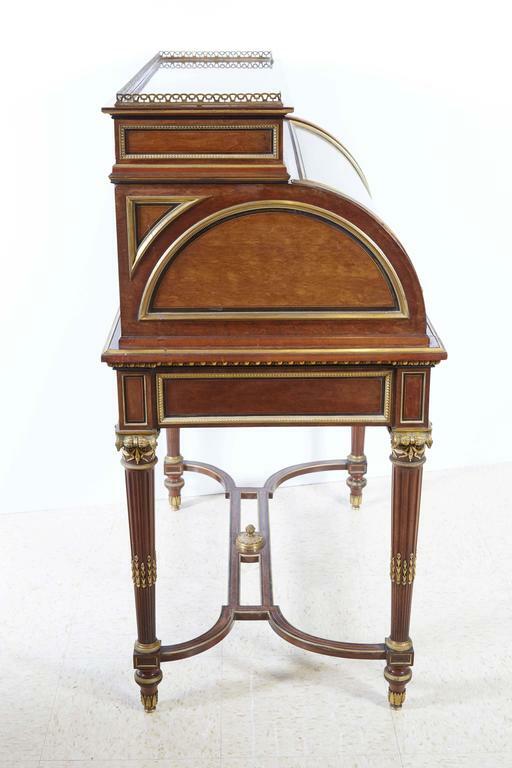 American Gilt Bronze Ormolu-Mounted Pink Velvet Desk Set E. F. Caldwell & Co.
By Edward F. Caldwell & Co.
French ormolu mount marquetry bureau plat or desk, 19th century.